If you can’t imagine doing business without your vehicle, chances are good your livelihood would suffer greatly if that vehicle became unavailable due to an accident or loss. Regardless of how many commercial vehicles you own (one or several), you need to protect them as valuable business assets. Commercial auto insurance functions similarly to personal auto insurance in that you can select the types and levels of coverage that are the best fit for your business and vehicle types. The goal of commercial auto insurance is to ensure your business vehicles are protected on the road and while garaged, whether your trips stay local or eventually cross borders. 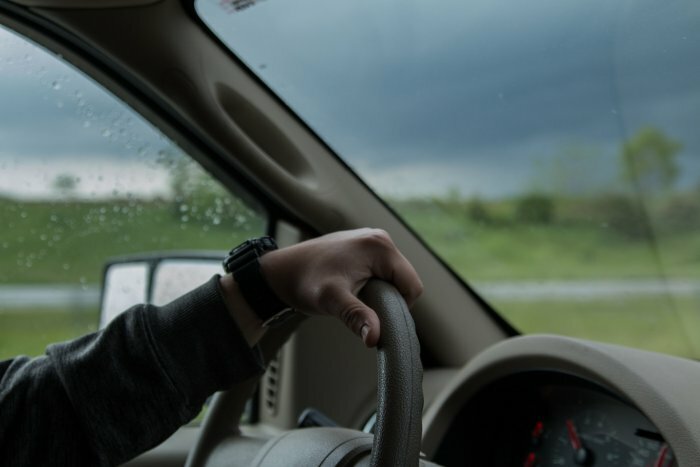 In this article, learn the basics of commercial auto insurance and how it can protect the vehicles you depend on to do business. When most people think about commercial auto insurance, they often assume it’s designed only for large fleets of big trucks. While this is one use for commercial auto insurance, it is far from the only use. In fact, if you have any vehicle that you use for commercial (business) purposes—even if you also use that vehicle personally—it is eligible for commercial auto insurance. Comprehensive coverage. Protection if your business vehicle is damaged by something other than a collision (e.g., vandalism) or if it is stolen. Collision coverage. Protection if your vehicle is damaged or totaled in an auto accident. Liability coverage. Protection if your vehicle causes damage to other drivers or vehicles. Accident Benefits coverage. Protection if you are injured in a vehicle accident. Uninsured/underinsured coverage. Protection if the other driver has no coverage or insufficient coverage. It is quite common to be confused about what separates commercial (business) auto insurance from personal auto insurance. After all, they sound identical on paper! The difference boils down to what you are using your vehicle for. Even if you use your vehicle for personal use as well, if you use it in your business too, it needs to be insured accordingly. This holds true even if you don’t use your personal vehicle to do business frequently. One of the “declarations” you make when you buy car insurance is the percentage it is used for business driving. This means that if you don’t report the use of your car accurately, you could find yourself paying for a policy but not having coverage when you have a claim. It just isn’t worth the risk. If you are not sure if what you do with your vehicle is considered business driving, call your broker. No one really gets excited about spending money on insurance. This is because purchasing insurance is not a luxury but a necessity. One terrible day on the road has the potential to make or break a business of any size, and that is a risk businesses can’t afford to take in today’s competitive marketplace. But there are ways to pay less for your commercial auto coverage! Bundle your policy with other policies you hold with the same insurer. Some insurers offer loyalty discounts for customers who purchase more than one type of policy. If employees drive your vehicles, look at applicants’ driving records as part of your screening process when hiring people. It’s simple: drivers with excellent safety records and no tickets on their record are less expensive to insure. Choosing to install extra safety or risk management tools. These can range from in-vehicle alarm systems to driver monitoring systems, locked garaging to VIN etching, mandatory driver safety courses for your drivers, or daily mileage limits. Check auto insurance coverage rates before investing in a new work vehicle. Just as with personal vehicles, in the business world, different types of vehicles may come with lower or higher premiums. We are so honored that our owner and CEO, Bruce Mackey, was named 2017 Business Person of the Year by Quinte Business Achievement Awards (QBAA)! Give us a call at 888-853-5552 or contact us online, and let us know how we can help with all your insurance needs in 2018!